Announced on its Facebook page, Optimist International says when you recruit a new member into your Optimist Club, you will be entered into a drawing to win $500. If it is your first new member, you will be entered into two drawings for $500 each. This is your opportunity to share optimism with a family member, friend or colleague and possibly reap a monetary award straight from Optimist International. Or your Optimist Club might hold a NOW event or a membership drive and ask everyone in the community to participate as an Optimist Volunteer. Wouldn't it be awesome to have your whole membership entered into the drawing? Act quickly and your new members can get in on the drawing too! The Honor Club criteria has been adjusted over time, but its award has always meant that an Optimist Club is managing itself in a way that will help it succeed far into the future. Earning Honor Club helps your Optimist Club create its legacy. Many Optimist Club members say they do not do what they do for an award. They appreciate the smiles on the faces of the children they serve and enjoy the cameraderie of their fellow members in service. I get it; that in itself is a reward. However, it is selfish to think that way for it serves only those who can participate today. We must rid ourselves of that selfish thinking so that Optimist Clubs will be able to serve others well into the future. It's up to you to ensure that your Optimist Club is providing the best service to its community and members by demonstrating excellence in administration, service and growth through the Honor Club Recognition Program. Don't wait - start today. 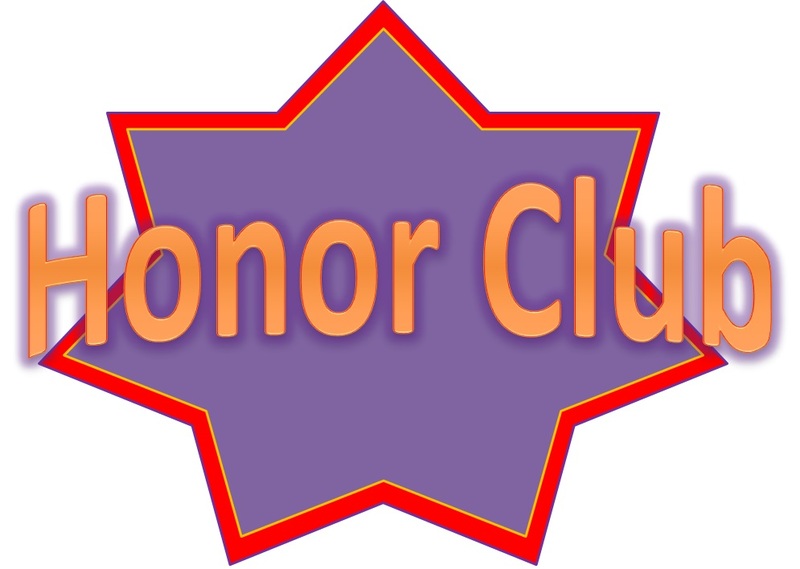 Optimist Clubs are recognized each year by Optimist International based on one measurement: Honor Club. Some clubs achieve Honor Club and thenk do just a little bit more; they are called Distinguished Clubs. 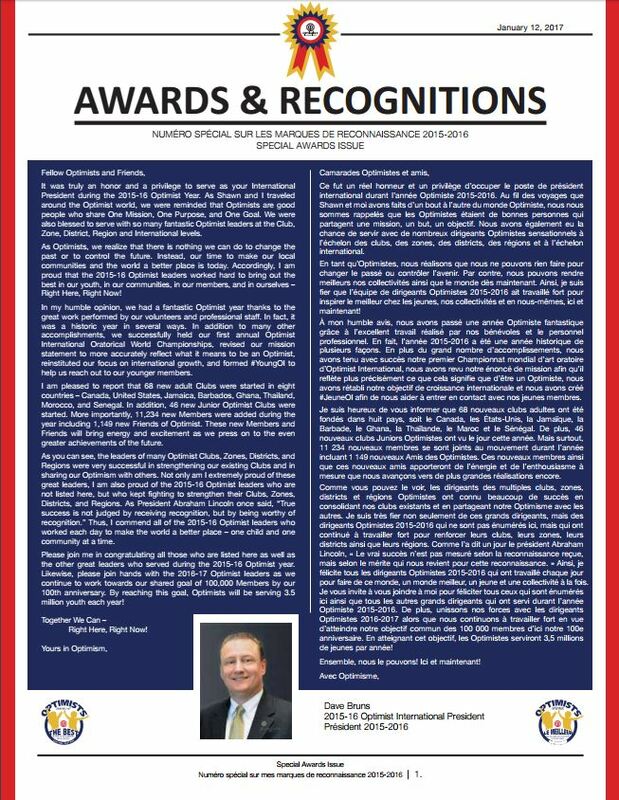 The Special Recognition Awards Hotline for the 2015-2016 administrative year (October 1, 2015-September 30, 2016) was released today. We salute those clubs in the PNW District for that earned Distinguished and Honor recognition. 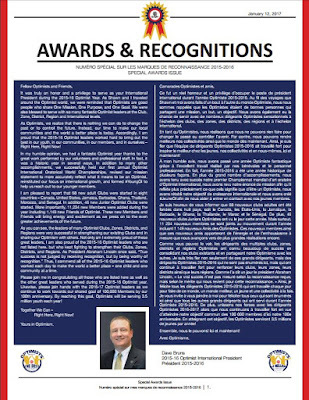 Please click here to read the Awards and Recognition Hotline. February 2 has long been known as Groundhog Day. You know, the day when Punxsutawney Phil crawls out of his den to tell us if there will be an early spring or if we must hunker down for another six weeks of winter. This year, the prognostication is sunny because for the first time ever, Optimist International is promoting #OptimistDay. On February 2, 2017, all Optimist Club members are encouraged to wear a shirt, hat, or pin to promote their Optimist Club. As our club members promote their individual clubs, Optimist International will gain recognition as a connector of people and deeds around the world that makes it a better place to live. 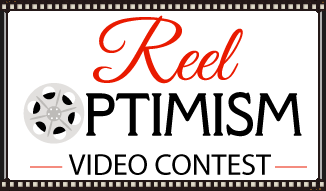 For the fourth year, Optimist International and the Optimist International Foundation are asking Optimist Clubs, Junior Optimist Clubs and the public to submit video entries for the Reel Optimism Contest. Clubs should begin working on their entries now. Submission dates are February 17 to April 14, 2017. Finalists will be announced on May 12, 2017 and public voting will begin, ending on May 31, 2017. Winners will be announced on June 2, 2107. See the full Reel Optimism Contest rules here. Need some inspiration? Here are the entries from 2016 to get your creative juices flowing. In 2016, Optimist International and St. Louis University launched the revised Optimist International Oratorical World Championships. Along with larger scholarship amounts and global participation, the contest also received a much needed makeover. It received a new logo. Standing tall at the top of this logo pyramid, the Oratorical Contest was the first of the Optimist International programs to be updated. At the December Board of Directors meeting, new logos for Optimist International's traditional programs were revealed. From left to right, please take a look at the logos for the Optimist International Essay Contest, Communication Contest for Deaf and Hard of Hearing, Respect for Law, Youth Appreciation, Tri-Star Sports, and Youth Safety. Optimist Clubs may download the new program logos here. How do we know that it will be the best? Because we know that you are an Optimist and all Optimist Club members make the promise to think only of the best and to expect only the best. 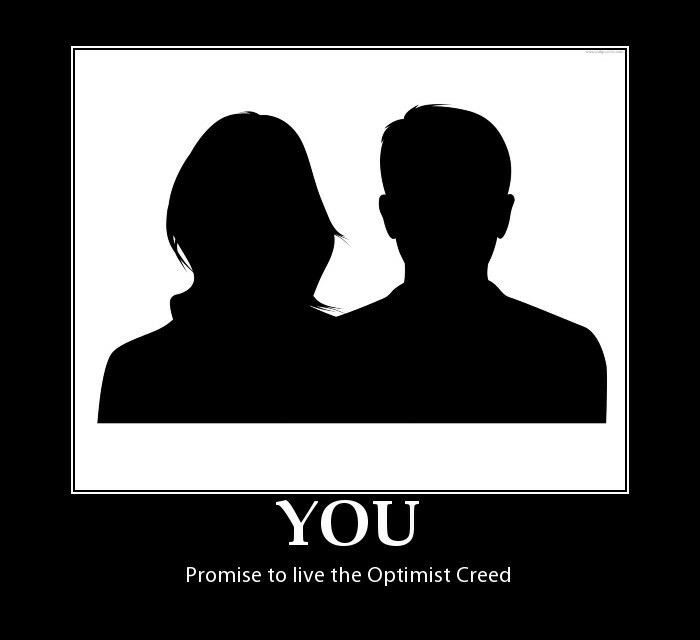 Optimist Club members live the Optimist Creed. Those ten tenets inspire all who read them and for those who take the oath to belong to an Optimist Club, they become a way of life - a positive way of life. We encourage you to take that promise with you as a daily mission. Live the Optimist Creed.